We are looking to award up to five Artist Fellowships as part of the Migration and Health Project Southern Africa (maHp) – a research project at the African Centre for Migration & Society (ACMS), Wits University. As part of this project, we are looking to establish new collaborations that support innovative and creative approaches to public engagement. The Artist Fellowships aim to support work that explores the role of art in promoting research and new knowledge uptake through public engagement. 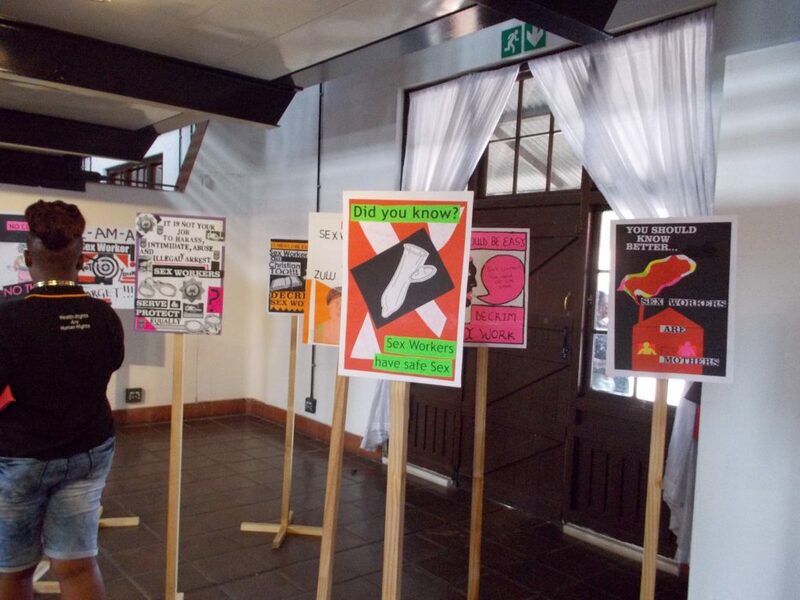 Using the artwork produced, we wish to engage with different publics through a range of creative activities in order to place research into the broader cultural conversation, and to promote the role of research and new knowledge in supporting action on migration and health in southern Africa. An interactive exhibition will take place in early 2019. This will be accompanied by a publication that documents the artwork and reflects on the processes involved. Timeframe: Fellowships will be awarded for a three month period; all projects to be completed by 30th September 2018. Remuneration: Honorarium of ZAR 15,000 per month plus ZAR 15,000 for materials = a total of ZAR 60,000. To apply, please email a letter of motivation outlining your proposed project plus an overview of completed projects / online portfolio / similar to oncemorembeve@outlook.com Applications will be assessed by a committee on the basis of relevance to: (1) focus on migration and health, (2) linkages between art and research, and (3) exploration of public engagement. Successful applicants will be notified by 15th April 2018. Starting in February 2018 (negotiable), the successful applicant will join an interdisciplinary team of scholars exploring knowledge production, research methodologies and ethics in relation to health and migration in southern Africa. With a home base in Johannesburg, post-doctoral fellows are encouraged to develop and participate in projects across the region. Involving a series of unique research and public engagement projects, the Migration and Health Project Southern Africa (maHp) aims to explore (and evaluate) ways to generate and communicate knowledge in order to improve responses to migration, health and wellbeing in the SADC region. Multiple disciplinary perspectives, mixed method approaches, and the involvement of various stakeholders – including migrants themselves – are central. Central areas of investigation link to issues of public health responses to migration; migration, labour and health; migration and health policy making; gender, health, sexuality and migration. A key focus area within maHp is the development of visual and other involved methodologies to research the lived experiences of migrants in southern Africa. The MoVE (method:visual:explore) project aims to integrate social action with research, and involves collaboration with migrant participants, existing social movements, qualified facilitators and trainers, and research students engaged in participatory research methods. This work includes the study and use of visual methods – including photography, narrative writing, participatory theatre, collage – and other visual and narrative approaches in the process of producing, analysing, and disseminating research data. These approaches to research facilitate story-telling and self-study, incorporating various auto ethnographic approaches. Central areas of investigation link to issues of social justice in relation to migration, with a specific focus on sexuality, gender, health, and policy. 0 Comments on "Call for Artist Fellowships"